“They call me eggplant, and other bad things because of the color of my skin,” Nawal says, fighting back tears. Nawal and her husband fled Darfur in 2014, when their situation there became untenable due to violence. 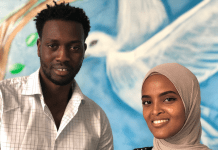 Nawal faces a lot of stress from racism, financial instability, and the trauma of fleeing Sudan. 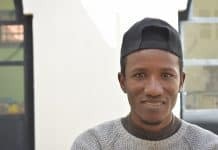 We need to increase stress-relieving programming for Sudanese refugees, but need your help to do it. Become a monthly donor today. Since coming to Amman, they’ve had a baby girl, Sara, now two years old. But they’re alone, without family here to help them. While she talks, Sara reaches out to grab anything she can, and Nawal passes her to a friend. Though safe, and happy to have brought a little girl into the world in a place free from violence, Nawal is troubled. “Rent is difficult to pay. I get monthly food vouchers from CRP, and that helps,” Nawal says. 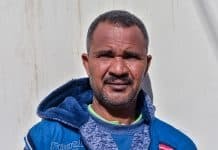 Sudanese, Somali, and Yemeni refugees in Jordan receive little-to-no aid from international NGOs. But stress is still a big problem. Nawal feels like she can’t go out without becoming a victim of racism. People hurl racist epithets at her as she walks down the street. 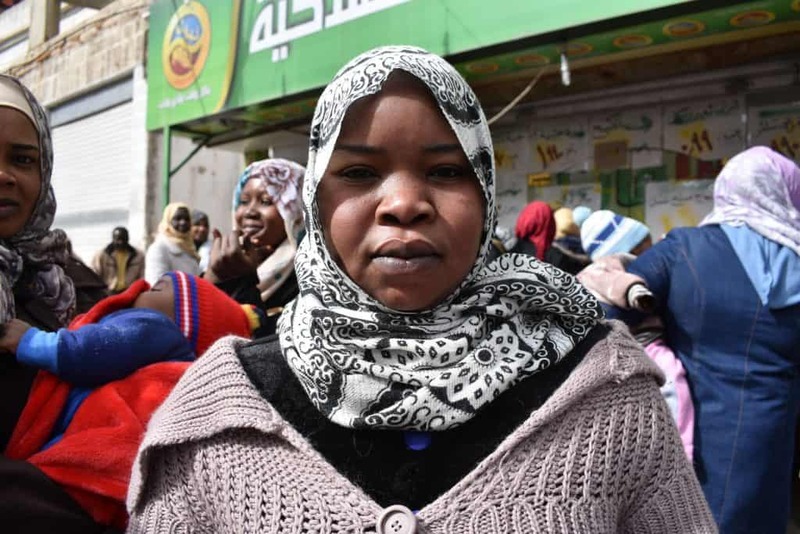 Many women in the Sudanese and Somali refugee communities in Amman will walk blocks out of their way to go down quieter streets or winding alleyways to avoid people. Nawal’s financial instability, past trauma, and the racism she faces, amount to huge levels of stress. “I’ve looked for places with classes to get benefits and help stress, but I haven’t found any in my area,” she explains. Though CRP has been offering classes and trauma-relief programming for years, non-Syrian and Non-Iraqis live a taxi-ride away from our Family Resource & Community Center in the Hashemi Shamali neighborhood of East Amman. With money already hard to come by, they can’t afford to come to our center to take advantage of these activities. When we spoke to Nawal, we couldn’t yet promise her anything, but did tell her that we’d like to open a center in a more convenient location, where she could come take classes and find ways to relieve her stress. Both at our center in Hashemi Shamali and the new center for underserved refugees, we hope to hire a member of the local community to provide childcare and activities for pre-school-aged children. We constantly hear that without childcare, women cannot attend our activities. But to do any of this, we need your help. We can’t plan for the future without increasing our monthly donors. Become a monthly donor today. And great news! For every new monthly donor or increased current monthly donor this week, a generous supporter will give us $50, up to $500! Previous articleWe Miss You Already, Abu Nabil!